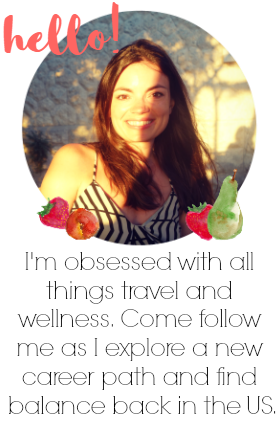 Well....I've been a bit of a blogging slacker lately but not because of lack of things to write about.....I'm blaming it on the weather! It has been so incredibly wonderful to have these warmer days. I've been running almost everyday...averaging about 2.5-3 miles a day. I haven't really set a goal although Van says he thinks it should be 10 miles. But if I set 10 miles, I might as well set a half marathon goal....and that is scary. But anyway, just got way off subject there! 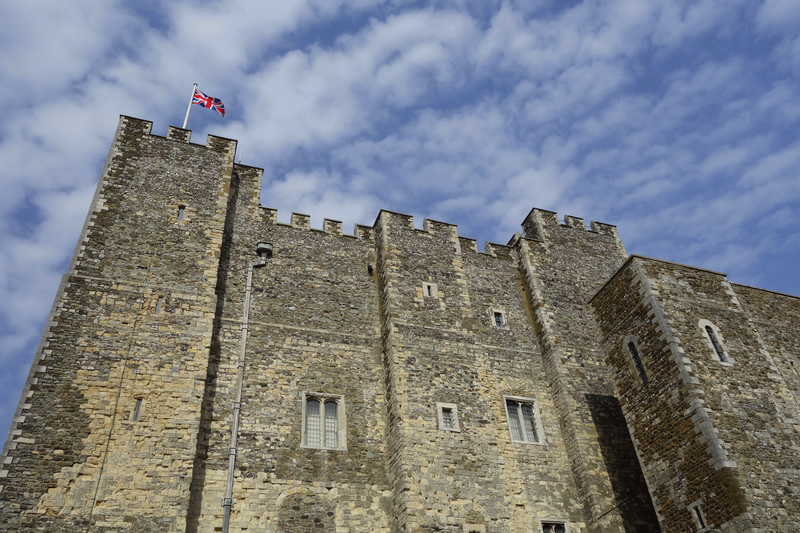 But the weather has been amazing lately and allowed us to have a wonderful day out at Dover Castle a couple of weekends ago. 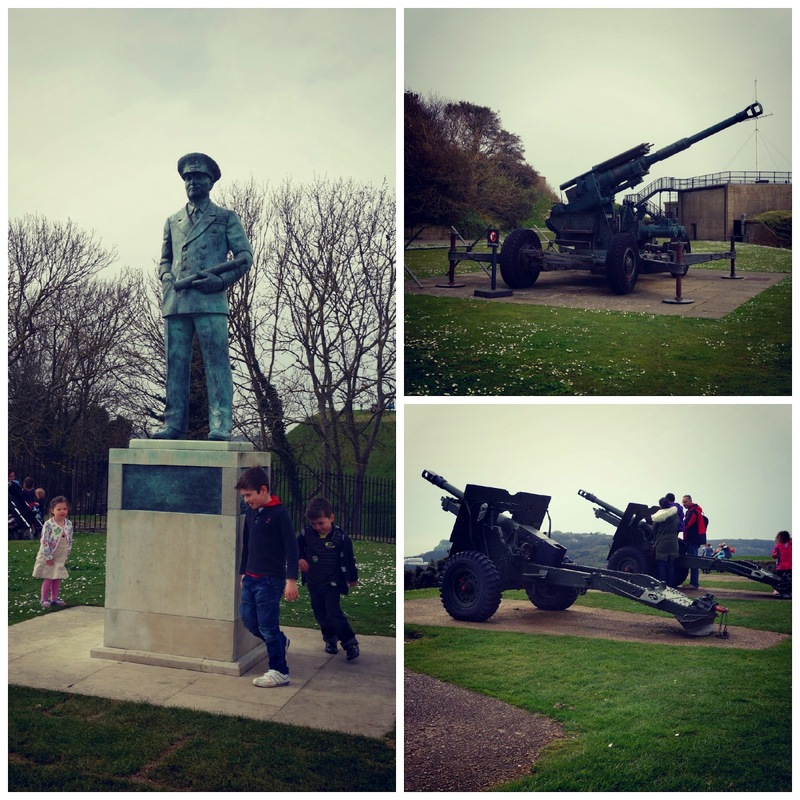 You may have read the Leeds Castle and Cliffs of Dover posts and noticed the stunning spring weekend we had. 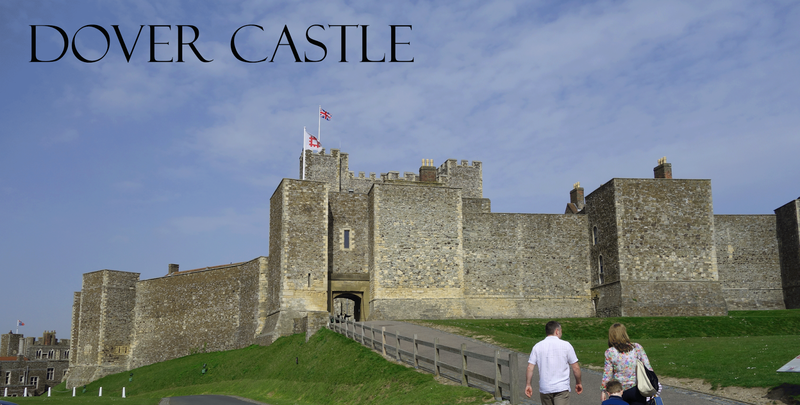 Dover Castle was the last stop that weekend and we were able to explore this huge castle before the foggy clouds rolled in. 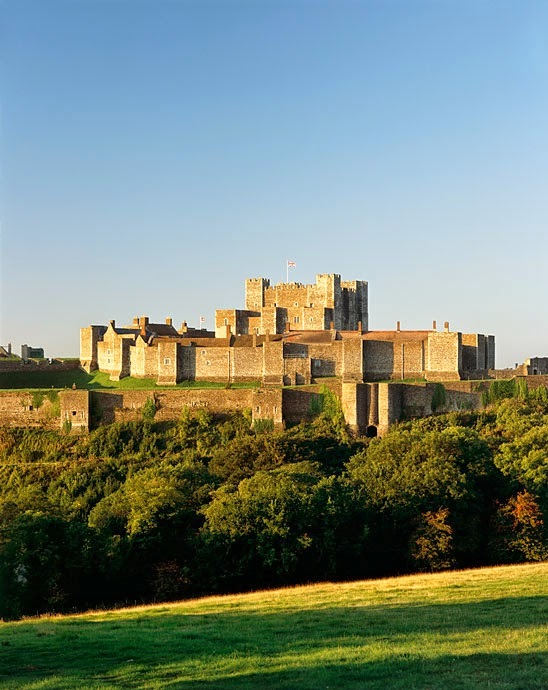 Dover Castle has a very long history, with the stone castle dating back to the late 1100s and has even been used in wartime throughout WWII. Van and I were very excited to visit the castle with our English Heritage passes (which I actually left at home but they were so sweet to let us in on our word!) Sitting atop the white cliffs, this castle would have been a formidable site. 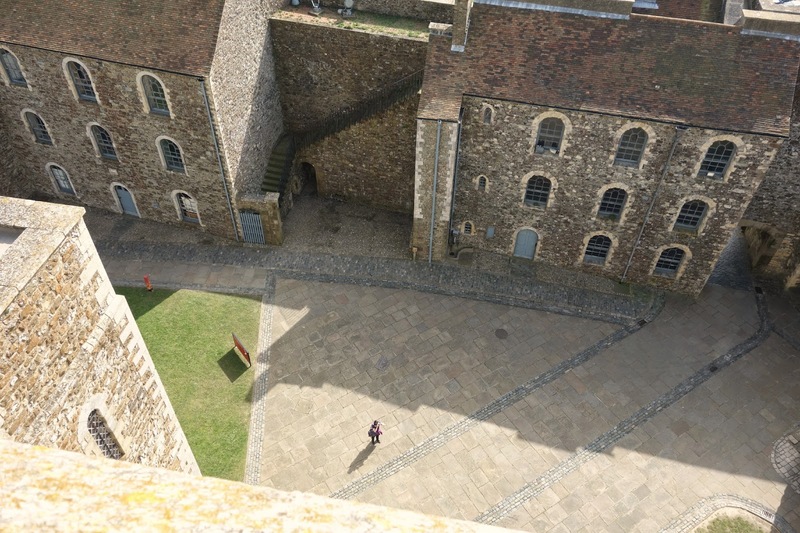 The castle grounds were so expansive and we decided to start with the main tower. 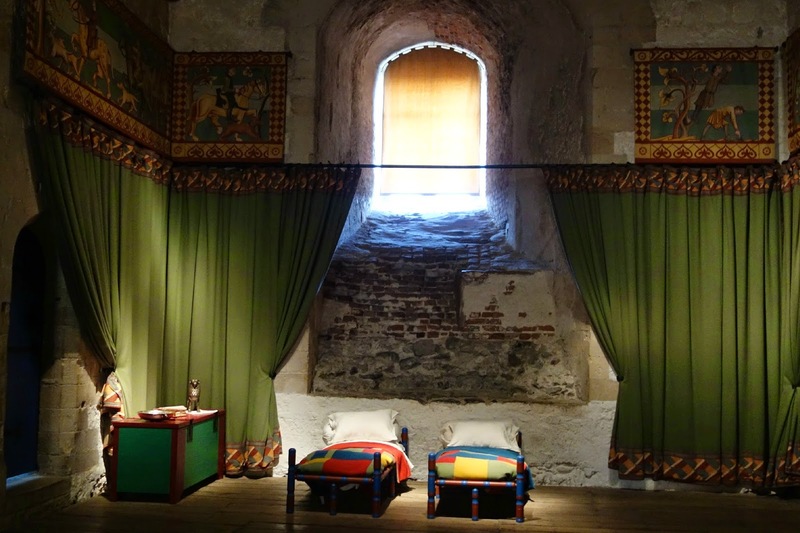 The guide informed us that the interior of the castle keep had been renovated but set to look like it would have back when the tower was in operation. 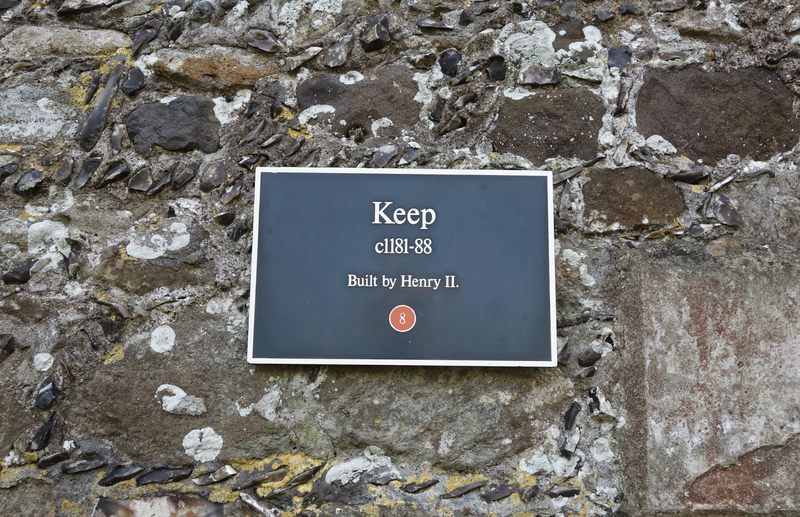 This feature was quite different from other castles that we have visited. 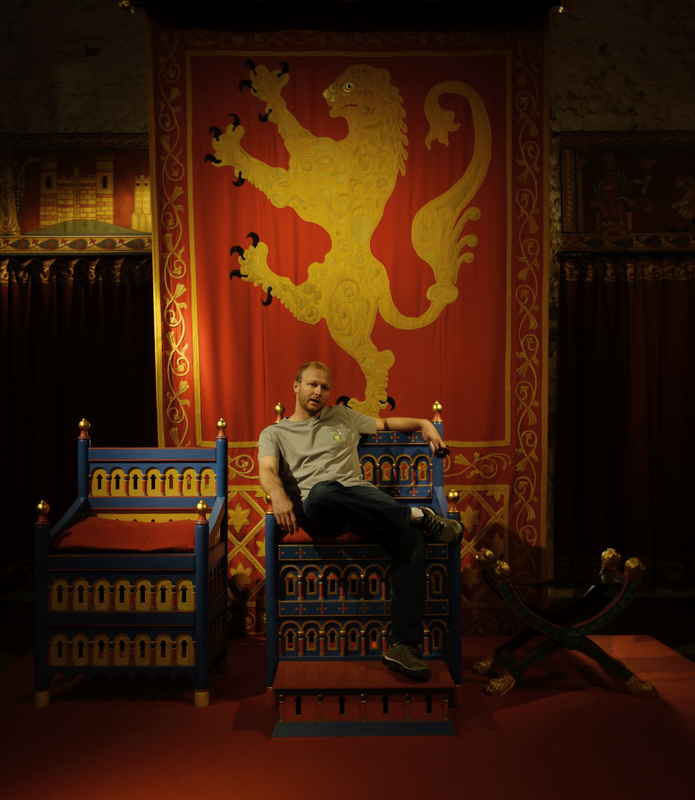 I really loved it...you really could imagine yourself back in time within the castle walls. 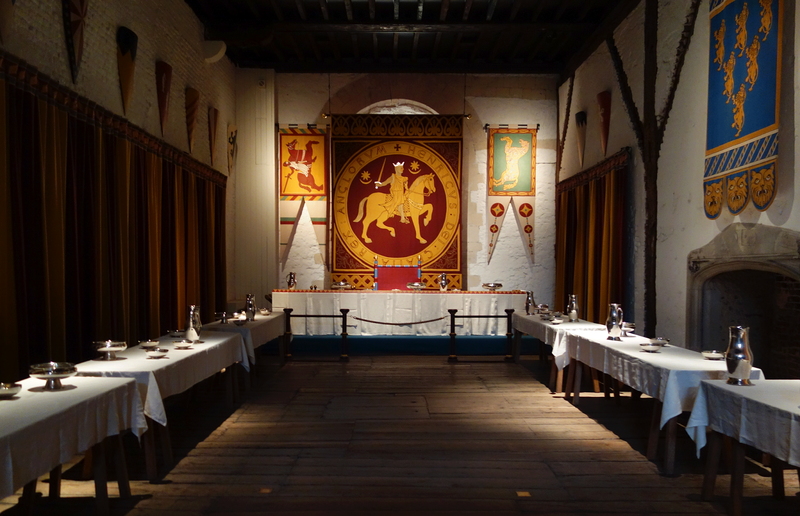 Inside the keep, there are many rooms, all decorated to show you what life would have been like. 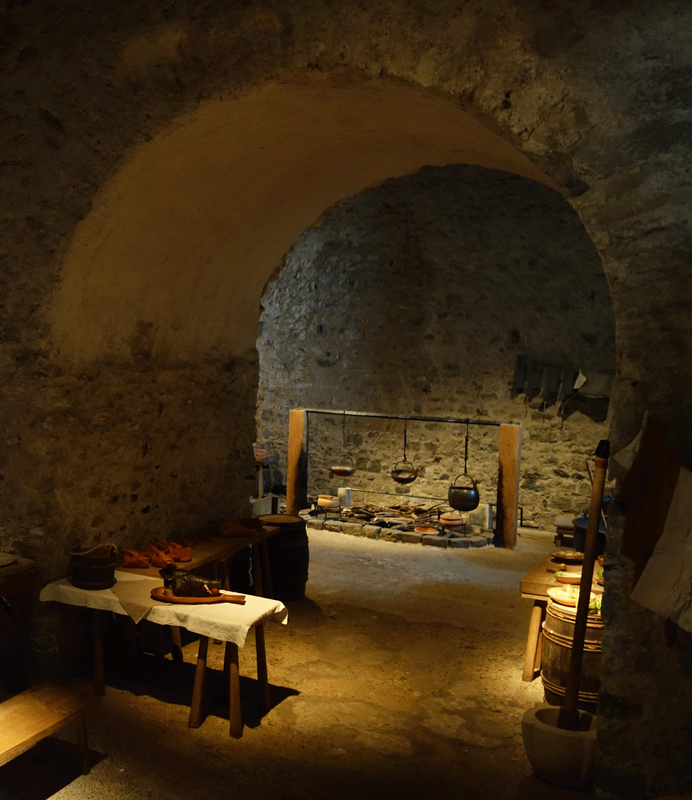 There were guard rooms, storage rooms, cooking rooms and the staff even lit a fire in the actual fireplace for the tourists. We explored our way through to the top of the tower. From the ground, the tower doesn't look too terribly high. I was amazed at how high we actually were. And on top of the cliffs! It was really amazing. See how small the person is below!! The views were incredible. What a fortress!! After touring the rest of the castle grounds and grabbing a yummy quick bite at the cafe (coffee and castles....I should start a series! 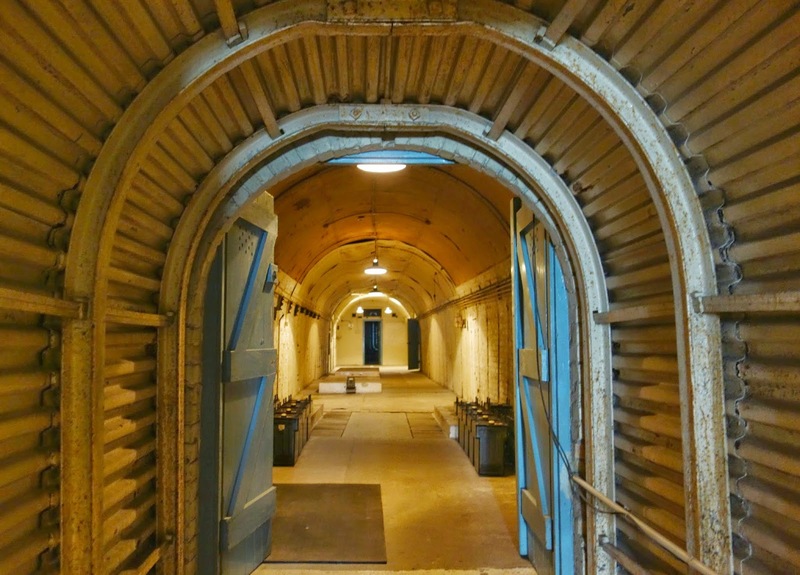 ), we headed to the Secret Wartime Tunnels tour. We both were very curious about this tour. We waited for about 20 minutes for a tour to begin. Only 30 people were allowed down at a time. Also, no photography was allowed. Of course, I snapped a couple of photos! The tour was really interesting. Our group of 30 was led around to different rooms throughout the tunnel system. 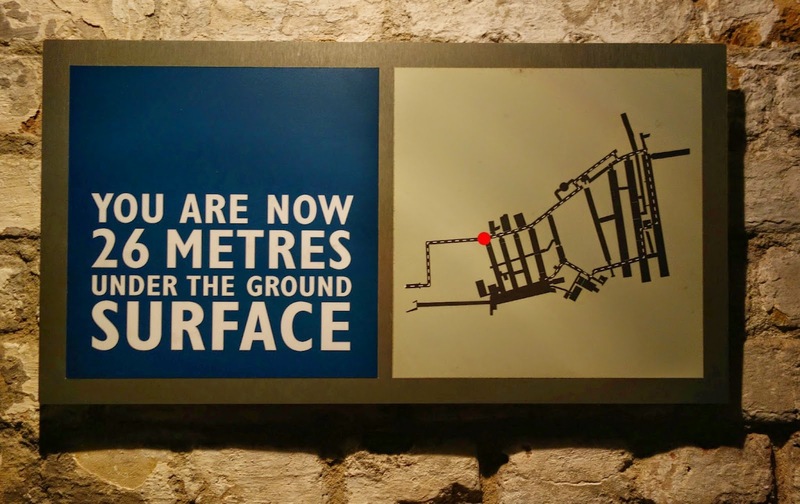 The tunnels were used throughout WWII and were integral in conducting the evacuation of troops from the Battle of Dunkirk. 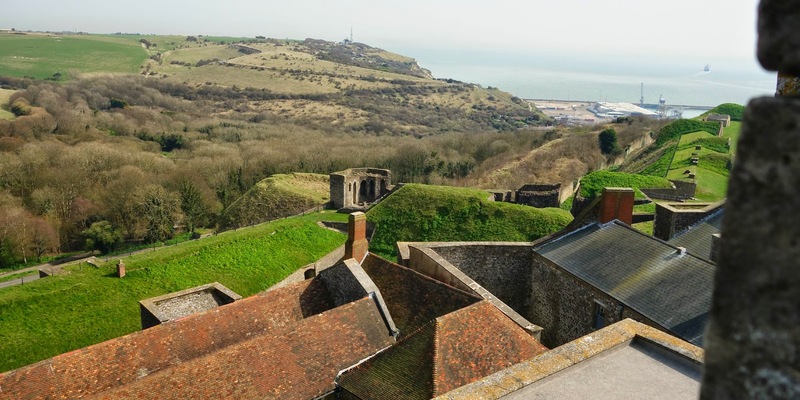 The Dover Castle is a man's castle. 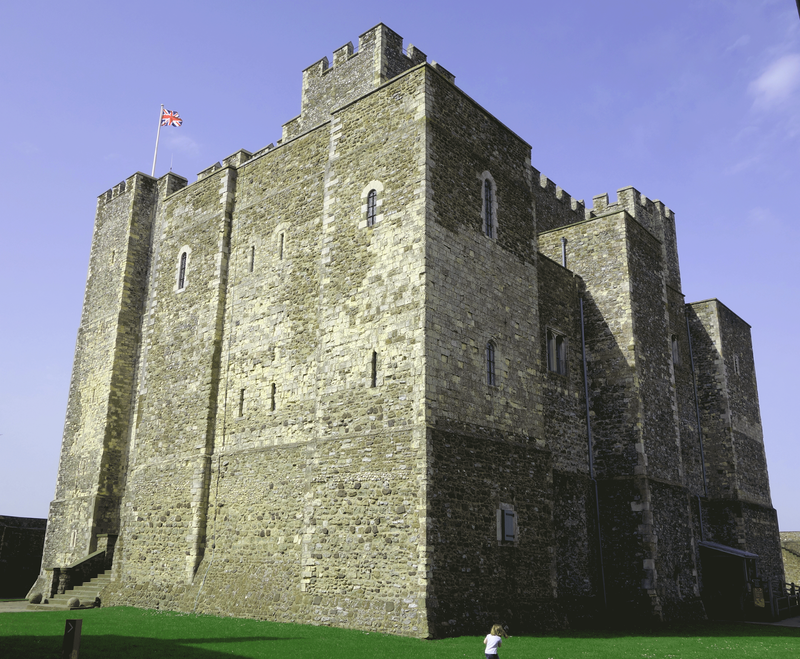 From the medieval castle to the wartime stories, it really is fascinating that this castle has been used for such a long period of time. 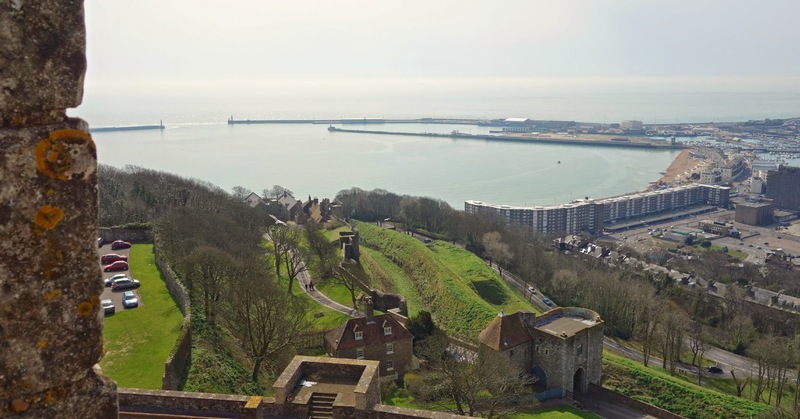 If you choose to visit the Dover Castle, give yourself at least 3 hours. There is so much to see and explore! What a beautiful place, I would love to get to go tour castles, all we have are old mud huts the Vikings use to live in. Come on then :) I just seriously love England! Coffee and castles. I could do with some of that myself!